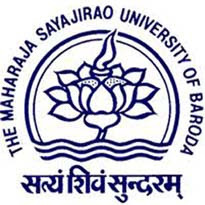 Maharaja Sayajirao University of Baroda (MSU) Published Recruitment Notification for Temporary Clerk Posts. Qualification : Graduate from any discipline, along with knowledge of various basic systems of Computer Operations, MS Office, Accounting Software etc. Experience : Experienced Candidate will be Preferred. Send Application and Necessary Documents to This Address : The Director, Master of Urban and Regional Planning, Department of Architecture, Faculty of Technology & Engineering, The Mahajara Sayajirao University of Baroda, Vadodara.